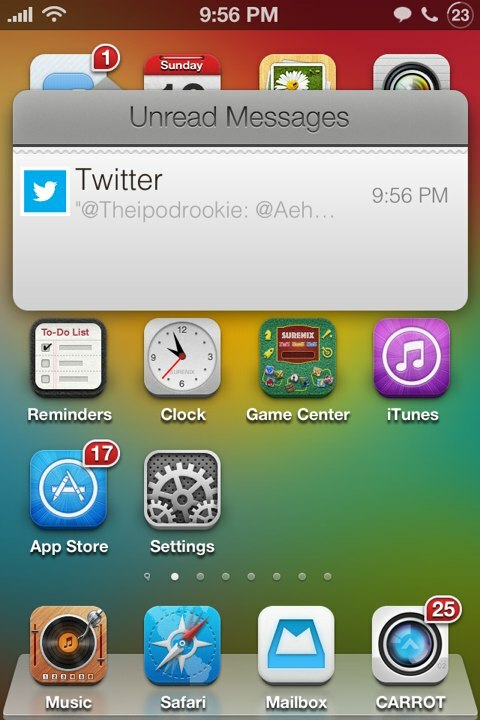 Badger is a revolutionary new iOS tweak that allows users to view notifications directly from app/folder icons on their home screen. 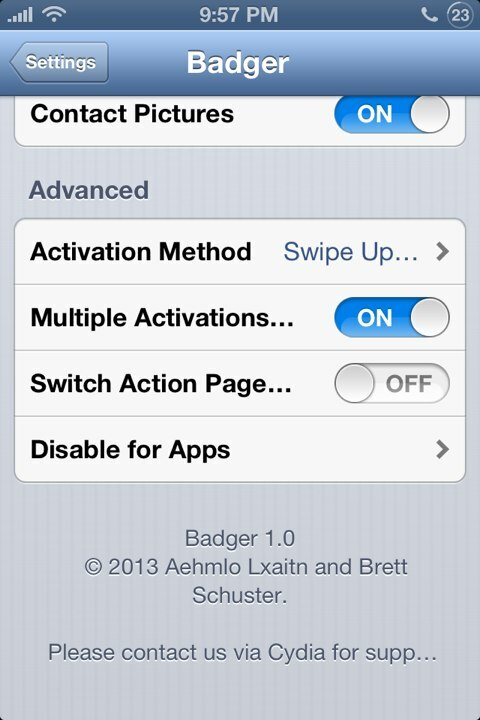 Using a custom activation method, users can invoke the Badger window, a configurable popup that allows them to swipe to delete notifications, view them in-app, quickly reply to iMessages/SMSs (as well as mark them read), and more. 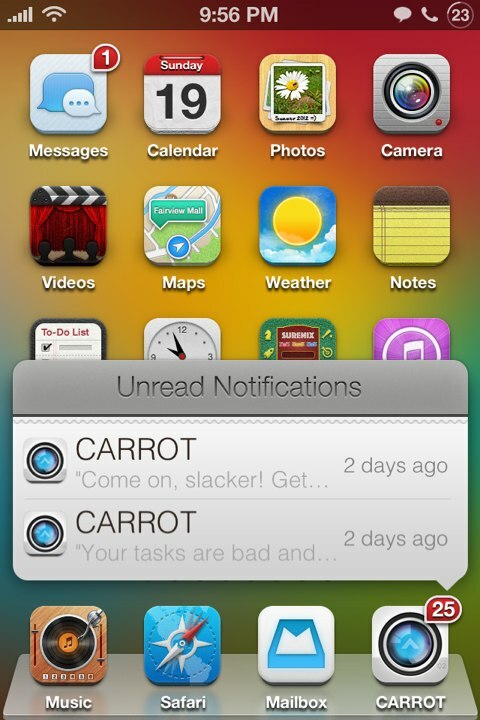 Badger is designed to make iOS notifications “make sense”. It’s fully themeable and customizable to make it work exactly the way you want it to. Fully compatible with Abstergo, Badger also lets users tap and hold onto notifications in the Badger window to activate Abstergo for the corresponding actions. Feel free to use Badger side-by-side with Velox-- they are not competitors, they are designed to perform different functions and get along nicely. 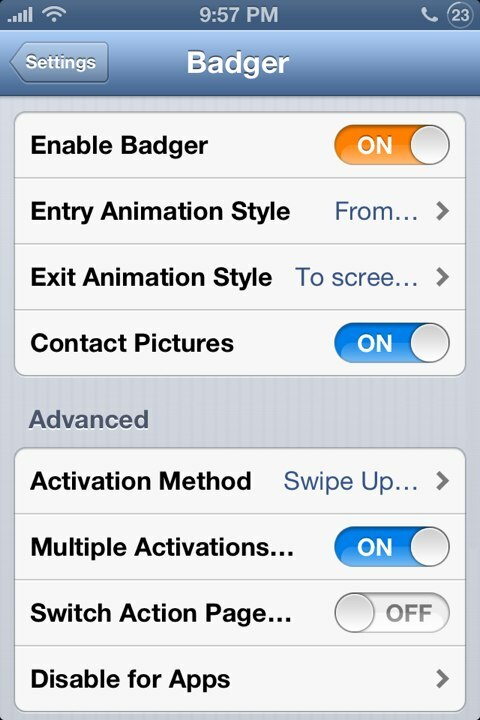 Badger is fully compatible with ALL devices on iOS 5 and higher, and is compatible with just about every tweak out there. Enjoy!